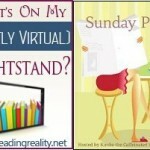 The Sunday Post AKA What’s on my (Mostly Virtual) Nightstand 10-25-15 – Escape Reality, Read Fiction! No winners this week. Winners last week, winners next week, but no winners today. 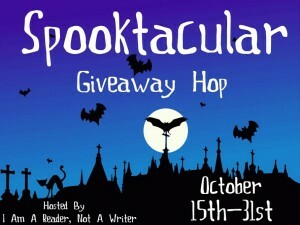 Speaking of next week, there is still plenty of time to get in on the Spooktacular Giveaway Hop. And speaking of all things spooky, Halloween is next Saturday. Which probably means that next Sunday every store that hasn’t already will haul out their Christmas decorations. 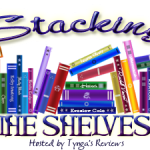 In honor of Halloween, I’m reviewing Broadcast Hysteria on Friday. 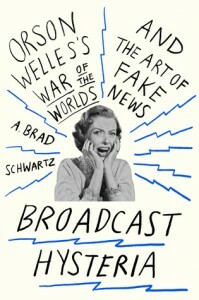 The book is about a very real Halloween, October 31, 1938, when Orson Welles broadcast The War of the Worlds on radio, and all too many people believed that it was a real news report and that Mars was invading the Earth. Which would be very scary indeed. Now if the only “Martian” invading the Earth were Matt Damon, I’m sure there would be more than a few people welcoming him with open arms. 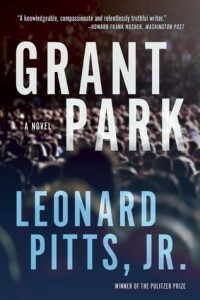 A+ Review: Grant Park by Leonard Pitts Jr.
Oh yeah, the Halloween candy aisle at my grocery store has now become the Christmas candy aisle. And it isn’t even Halloween yet! Craziness. Hope you’re having a good week! 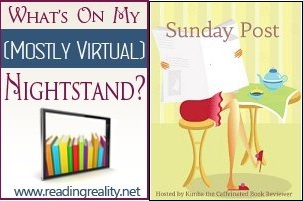 You can check out my post at the link below.